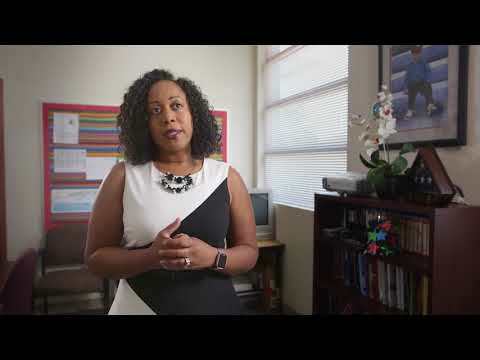 As the first director of Las Vegas’ Department of Youth Development and Social Innovation, Dr. Lisa Morris Hibbler’s passion for improving the lives of children and families in poverty, and her success in implementing collaborative initiatives, have earned her the respect and admiration of elected officials, colleagues, and community members. She lives by her motto: “Every child has the ability to excel and reach his or her greatest potential despite any challenges he or she encounters early in life, if we believe in them.” And knowing the city cannot accomplish this complex goal alone, Lisa uses an innovative collective action model that brings together a wide variety of stakeholders to work on a common agenda. Lisa has a keen ability to anticipate needs and identify solutions with a focus on data-driven, evidence-based strategies that produce results. While the city has not traditionally had a role in education, Lisa has been a trailblazer by strategically working with the local school district to improve educational outcomes and help the community to thrive. She has worked with community partners to analyze needs and gaps in services, allowing the city to identify voids that can be filled with city-funded services and to avoid duplication of services. Through Lisa’s efforts, the city is working to scale community programs and organizations with evidence-based practices and to stretch resources to as many people as possible. Leveraging resources ensures that services are sustainable and efficient over the long term. Under Lisa’s leadership, the city has implemented several impactful initiatives for residents of all ages. For example, the city launched its first four Reinvent Community Schools. Through these hubs, the city helps students, their families, and the community in high-poverty areas by focusing on academic achievement, expanded learning, wrap-around services, and family and community engagement. The city also is renovating two pre-K sites that will open in August 2017 to help move the community toward universal pre-K access. Additionally, to meet broader community needs, the city expanded the mayor’s Faith Initiative, which recruits faith leaders, volunteers, nonprofits, and government agencies to address issues of addiction, unemployment, education, homelessness, and human trafficking, and to strengthen families. This Hero has received accolades throughout her career from a wide spectrum of organizations. "Every child has the ability to excel and reach his or her greatest potential despite any challenges he or she encounters early in life, if we believe in them."